Read More "Organic Food: An Essential Component of Healthy Lifestyles"
The post Organic Food: An Essential Component of Healthy Lifestyles appeared first on Sebastian's Journey. The post Organic Food: An Essential Component of Healthy Lifestyles appeared first on Sebastian’s Journey. What Does Organic Food Mean for You and Your Health? In recent years, people around the world have become more concerned with the substances that enter their bodies. From pharmaceuticals to foods, consumer awareness of potentially harmful additives has given rise to new ways of thinking about the things we ingest. Organic foods represent a huge market as people clamor to eat healthier than ever before? What does the word “organic” mean, and how can organic foods benefit you and your health? In this article, we’ll look at organic foods, addressing some of the many ways that these foods can support a healthier, happier lifestyle. The word “organic” goes back centuries in the world of chemistry. In chemical terms, organic simply refers to a molecule containing carbon atoms. The term “organic farming” was created by Lord Northbourne in his book Look to the Land, and was used to flesh out the concept of a farming system where ecological balance was key. In the 1940s, Rodale Press brought the term “organic” to public awareness; referring to foods that were free of artificial pesticides and fertilizers. The word was central to Rodale’s magazine title Organic Farming and Gardening, which went on to become the most widely-read gardening magazine in the world. Organic foods are regulated by several national and international organizations; to use the word “organic” in packaging, growers must obtain specialized certification and adhere to established farming practices that eliminate chemical pesticides and fertilizers. Is Organic Food Better than Traditionally-Grown Foods? There is limited scientific evidence that organic foods provide significant health benefits to those foods that are grown/produced by more traditional methods. However, it has been demonstrated that organic farming practices impact the environment in a positive, not negative, manner. By eliminating chemical pesticides and dangerous artificial fertilizers, waste runoff entering waterways is no longer a concern. In the human body, continued exposure to chemical pesticide residues can have long-term effects. Organic foods eliminate worries about ingesting chemical residues, and in a number of studies, organic foods had far lower concentrations of substances like heavy metals and other environmental toxins. Anecdotal evidence suggests that organic produce tastes better and has more beneficial nutrients that foods produced in chemical-intensive growing practices. Studies have also given scientific credence to some of these claims; a literature review in 2011 found that many organic foods had higher levels of micronutrients than conventionally-produced foodstuffs. Since the early 2000s, sales of organic vegetables, fruits, meats, and prepared food products have increased exponentially. Global sales of organic foods rose by 170% during the period beween 2002 and 2011. Today, the organic foods market is worth $80 billion or more, according to industry analyses. Organic foods will continue to be popular with those people who wish to lead healthier lives. By reducing the environmental impact associated with the foods we eat, we are helping to save the planet for future generations. And, by reducing exposure to potentially harmful synthetic chemicals and residues, we can help ensure that our bodies get the health benefits of natural foods without the danger of toxins. The post What Does Organic Food Mean for You and Your Health? appeared first on Sebastian Guthery. via Tumblr What Does Organic Food Mean for You and Your Health? Across the United States, millions of people rely on kratom for its health-benefitting properties and recreational opportunities. Revered for centuries in its native lands of Southeast Asia, kratom, a preparation of the leaves of the Mitragyna speciosa tree, began to be imported into the U.S. in the early 2000s. After just a few years, it is estimated that five million or more users can be found in the U.S. alone. Along with the rise in popularity and use of kratom, push back by state and federal regulatory agencies have increased in recent years. On the federal level, the U.S. Drug Enforcement Administration (DEA) proposed a reclassification of kratom as a Schedule 1 drug. Proposals to limit or ban the importation and distribution of kratom were also proposed, but after a public outcry, including prominent members of the scientific and medical communities, the ban proposal was dropped. On the state level, a number of states have banned kratom. Several other states, including Florida and Louisiana, are continuing to study whether the substance should be classified as a dangerous drug or banned outright. In Tennessee, the state’s General Assembly reached a compromise between two competing bills, allowing continued legality of kratom for users 21 or over. Tennessee lawmakers worked in concert with advocacy groups like the Kratom Trade Association and the Botanical Education Alliance. Lawmakers also took the opportunity to listen to consumers in the state, agreeing that a balance between safety and consumer rights was the best path forward. 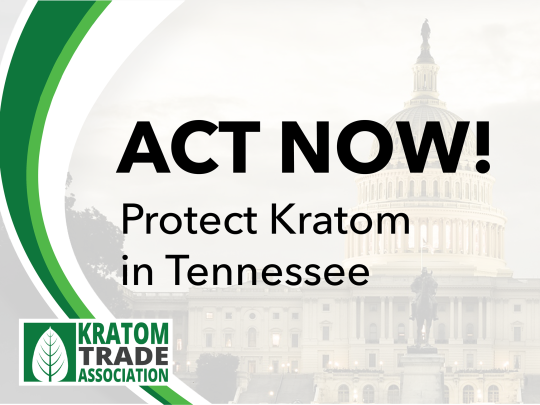 By upholding state residents’ rights to purchase and consume kratom, Tennessee serves as a shining example for other states, many of which are exploring potential bans or limits to the availability of this natural botanical substance. The Tennessee compromise allows kratom in its raw powdered leaf form to be purchased and consumed by state residents aged 21 or over. The compromise also set forth labeling requirements for kratom retailers. Follow me for the latest kratom news. Read More "Kratom Trade Association: Protecting Consumer Access to Kratom"
The post Kratom Trade Association: Protecting Consumer Access to Kratom appeared first on Sebastian's Journey. Read More "FDA Response to Kratom"
The post FDA Response to Kratom appeared first on Sebastian's Journey. An unlikely place deep in the remote jungles of Borneo is flourishing, thanks to the nearly insatiable demand for an alternative to opioid-based pharmaceuticals and their potentially deadly effects. The opioid epidemic, considered a public health crisis, has resulted in the loss of lives of thousands of Americans, and the numbers of intentional and accidental overdose deaths attributed to opioids continue to climb. Because of the rise in opioid deaths, alternatives to the harmful effects are being sought by caregivers and patients alike. Kratom, a controversial plant product that represents a safe opioid alternative to its fans, can be found growing in countries across southeast Asia. In the Indonesian Borneo jungles, a region known as Kapuas Hulu is booming. Kratom is a local commodity, and exports from this kratom-producing region have brought newfound affluence to the residents of the region. Kratom is the colloquial name for an evergreen tree called Mitragyna speciosa. It is a member of the coffee family. It contains several psychoactive compounds, particularly mitragynine and 7-hydroxymitragynine. In the regions where kratom is grown, the plant has been used as part of traditional medicine for centuries. Traditionally, the leaves were chewed to relieve pain. The plant’s leaves are also dried and ground, then made into a tea, and, depending on the amount ingested, may have either stimulant effects or analgesic effects not unlike those of opioids. Today, kratom is used by its adherents as a means of combatting chronic pain, treating opioid withdrawal symptoms, and for recreational purposes. Borneo’s jungle terrain belies a booming economy. It is estimated that over 60,000 people are employed by kratom-related businesses, and many of those employees are enjoying surprising wealth, enabling them to drive new vehicles or to build additions onto their homes. This surge in economic growth comes at a time when Borneo’s other commodities, such as palm tree oi, rubber, and gold are at an all-time decline. Farmers have successfully made the transition to kratom cultivation, and for now, the market is expected to strengthen. However, there may be problems on the horizon. Indonesia is a major exporter of kratom but bans local consumption. Other kratom-producing countries, like Thailand and Malaysia, have also banned the distribution of the plant and its components. The United States is attempting to follow suit. The U.S. Food and Drug Administration (FDA) has proposed a complete ban on the importation, distribution, and sale of kratom. Failing to secure such a ban, the agency has issued numerous warning alerts and seized products coming into American ports. Several U.S. states have banned the substance from possession and sale, including the states of Wisconsin, Indiana, Alabama, and Arkansas. The cities of Denver, Colorado and San Diego, California, have also banned kratom. Sebastian Guthery, a noted entrepreneur and kratom activist, knows that these attempted bans are nothing more than the FDA’s ignorance about the potential health benefits kratom can provide to individuals in the United States and beyond. Already, sales of bulk kratom products has dropped as a result of increased FDA scrutiny. Pontianak, the kratom industry hub of Indonesian Borneo, exporters sold over 400 tons of kratom products per month. Monthly volume has been reduced to about 100 tons per month, due in large part to a salmonella scare in kratom exports that reached American shores. 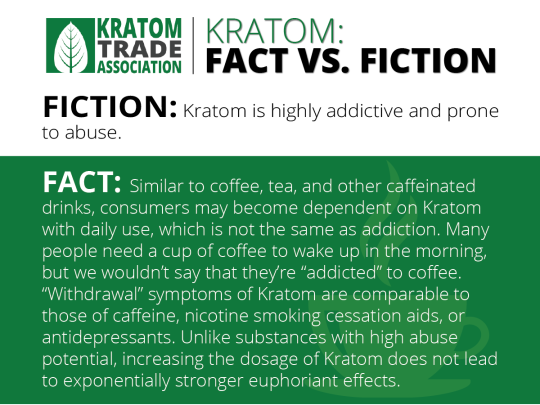 The KTA and similar industry organizations will continue to educate the public on the potential benefits of kratom and will fight against further FDA bans on the importation and sale of this potentially lifesaving herbal product.